Founder and band leader to The Directors, Tony has been fulfilling his dream as a professional singer for over 35 years . Picciuto brings versatility , undeniable stage presence, talent, charm and charisma to the stage and every performance. Gracing the silver screen, In 2010, Tony appeared in the Golden Globe and 7 time Genie award winning, Oscar nominated film, “Barney’s Version” starring Paul Giamatti and Dustin Hoffman. In 2013, he appeared with the cast of The HBO series “The Sopranos” in the Nickelodeon film, “Nicky Deuce” . 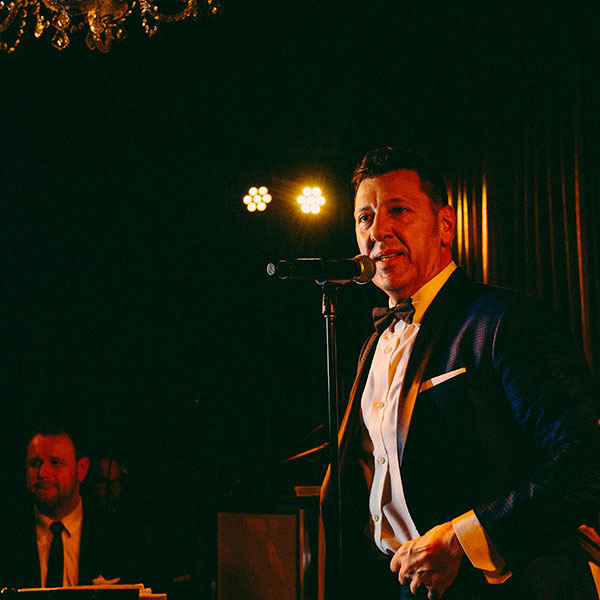 In addition to his corporate and private performances, Tony performs publicly year round throughout Montreal at local restaurants and esteemed Jazz clubs . Tony is owner and founder of Montreal’s talent agency Direct Entertainment group.